Though several private companies are involved with the financial backend of Ventra, the actual system is the brainchild of San Diego-based Cubic. 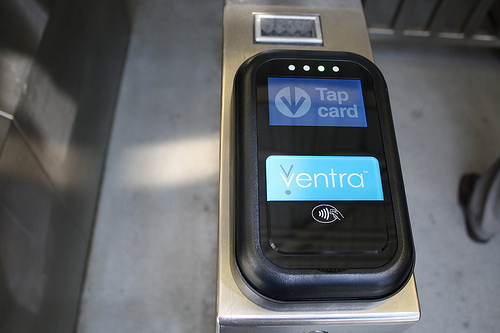 Ranked as the number 43 manufacturer in the 2013 IndustryWeek 50 Best U.S. Manufacturers, and operating in 60 countries worldwide, Ventra is the company's third foray into Chicago public transit after implementing the magnetic-stripe transit cards in 1997 and Chicago Card in 2003. Problems with Ventra so far have included hidden extra fees, a confusing registration process, issues with uploading funds to the card, double or triple-charged cards, money being deducted from debit cards touching the Ventra card, faulty card readers, and a subpar customer service department for an overwhelmingly agitated customer base. Meanwhile, suburban Pace bus riders will only be given until December 31 to transfer their old account balances to Ventra... by mail-in request. 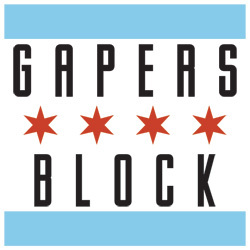 Unfortunately, Chicagoland is now only the latest in a long line of metropolitan customers dealing with problems sure to be familiar to Ventra's legion of haters. Launched in 2003, Transport of London's Oyster is one of the largest transit fare collection systems Cubic has ever been involved in. Serving as an all-purpose transit fare smart card for bus, Tube, tram, London Overground and most National Rail services in London, the Oyster readers have faced several high-profile glitches over the years. In 2010, the Oyster contract shifted from a consortium of companies called Transys to Cubic and Oyster cards with new chips were introduced after instructions on how to crack the original chip circulated online. That same year, Oyster cards overcharged customers by £60 million, in part due to customers forgetting steps in their distance-based payment system (ie: touching readers at the start and end of journeys). This confusion led to fines and court summons against customers who believed they had correctly paid, who in turn successfully appealed the charges. In what may be alarming to privacy advocates, a freedom of information act request revealed that London police frequently requested access to TfL's Oyster database for personal information including travel dates, locations, and times. In 2007, Cubic partnered with Barclays to launch the OnePulse -- a 3-in-1 Oyster, credit, and pre-paid debit card. While this Ventra predecessor didn't experience the same widespread glitches and high-profile errors, it also never replaced the stand-alone Oyster cards as the sole fare payment method, as Ventra is poised to in Chicago. This past May, London Mayor Boris Johnson announced his intention to phase out Oyster in favor of Wave and Pay, despite TfL claiming otherwise. Wave and Pay system tests are underway in the Tube this month, so Oyster's eventual fate remains to be seen. As recently as last Tuesday, scams involving Oyster card vendors taking money from customers, then voiding transactions to keep the cash have been reported. Cubic's system for Brisbane and the greater South East Queensland area's TransLink is based around a reloadable go card. Like with Oyster, the go card faced glitches including charging a handful commuter bank accounts multiple times (upwards to 20 times), resulting in a series of apologetic refunds. Similarly, Brisbane police were reported in April 2010 to have applied to TransLink for records on the movements of go card-using commuters, on the grounds of tracking criminal suspects or possible witnesses. Atlanta's Cubic-powered Breeze Card, though more similar to the Chicago Card than Ventra, still faced double-charging issues as recently as 2012. Back in 2008, Los Angeles County and Cubic unveiled the TAP (Transit Access Pass) card to unify payments among over a dozen regional transit systems. Though TAP is seen as only one of many issues with the LA transit system, there have been several problems with the TAP's fare collection functionality, including transit reader glitches, glitches with loading money and day passes into the cards, built-in TAP card expiration dates leading to difficulties with transferring old balances to new cards, hassles for senior citizen and disabled customer registration, confusion between the various transit system operators, particularly among L.A. Metro bus drivers, and concerns that the new system will cost more money than it takes in. Repeated customer complaints led to a less complicated set of instructions for purchasing rides earlier this year. In spite of these issues and nearly-consistent one-star reviews on Yelp, Cubic still got a six-year, $545 million contract extension. Launched in October 2009, Cubic's Easy Card unified several transit systems in the greater Miami-Dade County area, after a soft launch test period conducted two months prior. While no major widespread errors like the ones with Ventra have emerged, Easy Card earned the nickname "Easy Fraud" in 2010 after reports of individuals buying and reselling Easy Cards with stolen credit cards emerged. This incident forced Cubic to implement zip code verification on all future purchases. However, as recently as last week, a 22-year-old man has stood trial over exploiting a glitch allowing him (and members of a WSVN Channel 7 News team) to load money onto Easy Cards for free. The Bay Area Rapid Transit (BART) made nationwide news recently for its union strikes and safety concerns after the death of two workers. However, it also serves as the home of one of Cubic's most problematic smart card fare payment systems to date. Launched in June 2010, the Clipper Card was implemented by the regional Metropolitan Transit Commission to unify BART with the CalTrain light rail, San Francisco Muni, and several other transit systems across the nine county San Francisco Bay Area. So far, the Clipper Card has caused numerous problems, including familiar-sounding issues like faulty Clipper cards and readers and a confusing registration process. In August 2010, a glitch prevented Clipper customers who received their cards through their employers' pre-tax payroll deductions from getting their monthly passes loaded onto their cards. Clipper has had repeated problems with tracking free and discounted transfers between its transit systems. In other cases, Clipper cards allowed users to skip paying for rides by letting their cash-bought cards charge a negative balance -- a problem that wasn't fixed until last month. To make matters worse, one German PhD student even found a way to hack into and clone Clipper and similar card technologies, pressuring Cubic into fixing the technology and issuing newer cards. Problems with Clipper have been extensive to the point where MTC representatives had to publicly downplay the issues in the New York Times, as Cubic disclosed it received 38,000 customer service phone calls in August 2011 alone. Regardless, Clipper will stay in place, as the Bay Area's smorgasbord of transit lines continue to expand. By now, you'd think Cubic would have its hands full solving the problems with Ventra while maintaining its other, less-than-perfect fare collection systems. As it turns out, Cubic has been busy simultaneously rolling out two other major systems this year -- with curiously mixed results. In January 2011, Vancouver's TransLink public transit system (no relation to Brisbane) granted Cubic a $220 million contract for "a smart card fare payment and revenue management system." The centerpiece of this system is the Compass Card. Like Ventra's temporarily waived $5 fee, Compass requires a $6 purchase of a reloadable card, and replaces a previous system that allowed for purchasing multiple rides at a discount. This has already impacted Vancouver social service providers' ability to provide transit assistance, and placed a burden on those in poverty to access work, housing, or services. Meanwhile, September beta testing of the Compass cards revealed problems with card readers on buses, and cash paying riders have complained that they won't be able to use their bus transfers to board the train anymore. Furthermore, ways to scam the TransLink's zone-based payment system have already been found, raising the question of whether the $194 million system is worth the cost. Vancouver's Compass card is not to be confused with Cubic's version for its hometown of San Diego. First conceived in 2002, the system didn't roll out until 2009 and also faced its fair share of glitches. Serving as Cubic's other Australasian case study on its website, Sydney's Opal card system bears similarities to Ventra. Like in Chicago, the card is a partnership between Cubic and other backend financial groups, and has only begun to roll out over the past few months. Unlike Ventra, it's a relatively complicated distance-based, pay-as-you-go system, with some generous discounts, depending on the time and day of travel. While some complain that this disincentivizes only using one mode of transportation per journey, others complain that fares have risen overall, along with fines for forgetting to tap cards when leaving. Compared to other Cubic systems, Opal's press consensus seems to indicate a comparatively glitch-free rollout, though Sydney officials have been careful to roll out beta tests on multiple transportation options (including ferries), over a longer period of time than Chicago's seemingly sudden rollout of Ventra card registrations. It's clear there are some striking parallels between problems faced with Ventra, compared to Cubic's other transit systems across the world. In Cubic's defense, some of the previously-cataloged issues are regional transit system-specific, and don't necessarily apply to Chicago. Furthermore, not every Cubic system has necessarily been glitch-prone. In the case of the Northeastern Port Authority Transit Corporation (PATCO) Speedline, a year long test with a Cubic-based open fare, reloadable prepaid card similar to Ventra proved technically successful... but last October, it was deemed too expensive to implement. At the same time, comparing Ventra to these other Cubic-fare collection systems begs the question of why the problems with double-charging and faulty card readers that have appeared in previous systems in the past several years are still present in the technology behind Ventra? Another question is why a smart card system merging so few independently-operated transit systems is having so many problems up front? While the coordination problems with multi-transit systems in London, LA, or the Bay Area are somewhat understandable, Ventra is only integrating two systems (the CTA and Pace) for now, and not even adding Metra-compatibility until next August. Given that Vancouver and Sydney's Cubic smart cards have had less overall problems than Ventra in a roughly-overlapping timeframe of their testing-to-implementation period (despite those cards covering more regional transit systems) Chicago's own Ventra rollout looks drastically amateurish and embarrassing by comparison. With Cubic claiming responsibility for 7 billion rides a year, it would be wise for aldermen, reporters, and Chicago commuters alike to look beyond the current red flags with Ventra, and into the numerous previous mistakes Cubic has made worldwide. And while they're at it, they should ask why Cubic is still making those mistakes at our expense. *As originally written, the Wave and Pay problems with double-charging on London buses were implied to be directly linked to the £53 million worth of unclaimed refunds available to Oyster account holders. To clarify, these are two separate issues with two different Cubic-based fare payment technologies that are currently available to London bus commuters. It's important to point out that the process for actually using the card on either the bus or El was far easier with the ChicagoPlus card. All you had to do was stick the card in your wallet, then wave the wallet at the reader as you entered the bus. Voila. The very first step Ventra is telling people to do ('Remove the card from your purse or wallet') is something you absolutely didn't have to do with the older system and which should have raised a huge warning light prior to any usability or functionality tests (assuming they bothered to do any). The only reason the Ventra card has to be removed from your wallet is that, unlike the Chicago card, the new system also works with contactless debit and credit cards. If you have an rfid debit card in your wallet, it will be charged too. Also, did you know the Chicago Card was made by the same CA. company that is behind Ventra? Actually, with the readers on buses, I have always had to remove my Chicago Card from my wallet and rub it on a piece of cloth before it would work properly. The train readers were fine. Go figure. That is an aside, however. I would gladly take that inconvenience over the Ventra hassles any day, and have thus far procrastinated in activating my Ventra card, one of which did eventually come in the mail. What's most important to understand about all of this is that defense contractor Cubic is purely a rent-seeking public-private wealth transfer front. The crap about "Smart Cards" and the awful, awful burdens of using "cash" or "printed tickets" when riding transit is purely a means to an end, and that end is public impoverishment. The next most important thing to understand is that "Smart Card" system themselves serve only the rent-seeking contractors who supply the systems. The public and the taxpayers are best served by convenient and cost effective and proven -- but insufficiently profitable -- paper based fare media. German-speaking Central Europe -- a part of the world, not coincidentally, with some experience of fascistic corporations and mass population surveillance -- does so exclusively, after evaluating the costs and benefits of "Smart" Card ticketing and finding that the former vastly outweigh the latter. The public-serving solution is "Proof of Payment", attractive and hence pervasively-used day/week/month/year tickets, tickets valid on any transit mode with internal agency divisions invisible to users, no fare gates and boarding of all vehicles through all doors without bottlenecks, all verified by pieces of paper (largely, with some mobile phone based incursions) showing that a fare has been paid. The fundamental mechanism by which transit-industrial mafiosi like defense contractor Cubic force their catastrophic, rider-hostile, self-benefiting, unreliable, and budget-exploding scams is by preventing or controlling any analysis of the "need" for "Smart Cards". You will note that has, for example in the San Francisco Bay Area, never been a single study, before of after a half billion (and counting) of public money was shovelled at Cubic and friends has resulted in one single extra transit rider or has decreased operator costs. You will note, as this article shows, that the penalty for egregious failure is more and larger and further contracts. The vendors control the agencies, and the agencies exist only to feed the beasts not to serve the public. I'm not surprised Patco had few problems. Here's why: it's *tiny*. It isn't a metro system or part of a single-farecard regional system. It's just a single, stand-alone rail line running from Philadelphia across the river to Camden. It only has 13 stations, uses its own fare media, and only has 38,000 riders. It's kind of the red-headed stepchild of Delaware Valley transit. Everything else is SEPTA and NJT. I would not have minded switching over to Ventra if it wasn't ripe with problems. I cannot tell you how many encounters I've had with malfunctioning card readers, and long processing times. I have missed trains on several occasions because of this. I don't think many people know that Ventra is run by Cubic, a company which has had enough experience making transit systems that Ventra should not have been riddled with so many problems. I hope they will fix their machines, because I don't think Ventra is going anywhere. All we can do is hope they will clean up their act, oh and clean yours up too because apparently big brother Ventra is watching. Cubic Corporation’s (NYSE: CUB), San Diego-based Cubic Defense Systems announced today it was awarded a contract in excess of $10 million from the U.S. Marine Corps to supply weapon instrumentation that will integrate into the Instrumented-Tactical Engagement Simulation System (I-TESS II). Cubic will support the design, development, integration, ruggedized prototype, testing and effectiveness evaluation of enhancements to the squad immersive training environment (SITE) and the integration with I-TESS II. I-TESS II is a fully integrated ground combat training system based on the company’s latest laser-based wireless instrumentation products. The system is used in military operations in urban terrain facilities and non-live fire maneuver ranges located at various Marine Corps bases and installations. Engineering work for the training systems will be performed in San Diego, Calif. and is expected to be completed by 2017. I live in the SF Bay Area and can attest that Clipper is by far the worst. If you live outside of SF, you can only load your Clipper card in $20 increments using a credit/debit card only. If you try preloading from your computer it takes 5–FIVE!– days to register on your card. Or, you are forced to have to find a Walgreen's to load the card which may be an inconvenience. I liked it better before we had Clipper. This seems to be the first comprehensive review of the history of mis-implementation of the cards. One clarification: The Pace deadline is because Pace is phasing out certain Pace only passes, such as 11 rides for 10. This also points out another problem--Pace (more overtly) and CTA (covertly) have used the transition to get fare increases, such as CTA not saying until about 3 weeks in that if you use a bank card instead of a card with a transit account, you pay cash fares and don't get transfers. Thanks for this analysis of Cubic -- which I haven't seen anywhere else. 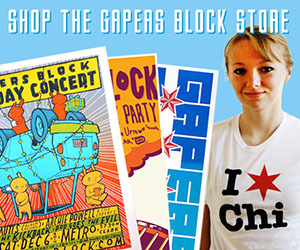 Wouldn't you think the CTA would have checked refs on past work by Cubic before contracting with them? Sloppy management, at best. And not Chicago corruption, I hope. Not all of Cubic's past systems have had so many problems. Ironically, you seem to have missed that one of their past successes was the very same Chicago Card system which Ventra is replacing. Don't forget about Sydney's Tcard fiasco because of Cubic's "sore loser" antics. The big problem with Ventra, I believe, is having the turnstiles take credit cards directly. In this day and age of RFID credit cards, that is a) asking for trouble and b) ensuring that Ventra cannot safely operate like Chicago Card did because it would inevitably bill credit cards by mistake if turnstile scanners were that sensitive. I think a great many Ventra problems could be solved if they declined credit cards and turned up the sensitivity on the turnstile readers. Ventra is TERRIFIC. Of course there were some glitches at first! Duh... It is a totally new technology. But we are all so much better off with this spectacular system. FYI this is a pretty complicated system and people shouldn't be scared out of progress because of silly, short sighted and irresponsible reporting like this article. I just found out that Ventra is not apart of CTA. I'm a Military Personnel with over 20 years of service...Military personnel and or Military service connected veterans rides for free with the military service pass. I had some issues with my military service pass which entitles me to ride for free. My pass kept saying insufficient fare.. So I went down town to inquire about myilitary service pass only to catch attitude from a Ventra employee down on Jefferson Street. Mind you this was not a CTA employee. I'm telling the bucket head woman if the CITY is giving this perk to military active and or service connected that means we ride for FREE duh! This lady was acting as though she was paying the fare for military people. I'm still trying to figure out why? Would the City of Chicago out source this VENTRA mess to someone else instead of keeping the money in our City. Yet the City of Chicago bus fare rates go up at the expense of Taxes payers. Then they want to cut jobs with the CTA for what. Someone should have had common enough sense to have kept this VENTRA mess local. But someone had the ideal to out source and guess what. This VENTRA card mess is like a burning HELL. Problems after problems ....And then the people that works downtown for VENTRA act worst then people who are on CRACK...people on CRACK at the way they do because of the drug they are using...don't get me wrong I don't supporting anyone using drugs. PLEASE pass the word of how military and veterans are being treated BAD by the faults in downtown Chicago VENTRA Office.